A specialist in nature-inspired play equipment and botanical concept furniture, Art Dinouveau’s new Mushroom Playhouse is a wondrous delight. 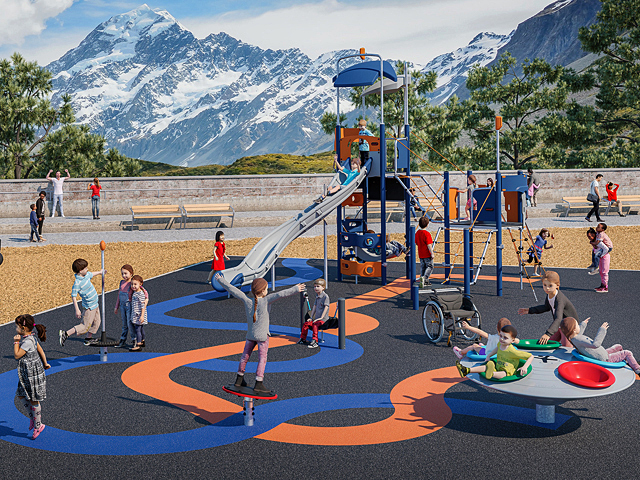 Art Dinouveau is a unique, commercial art and sculpture company specialising in nature-inspired play equipment and botanical concept furniture. 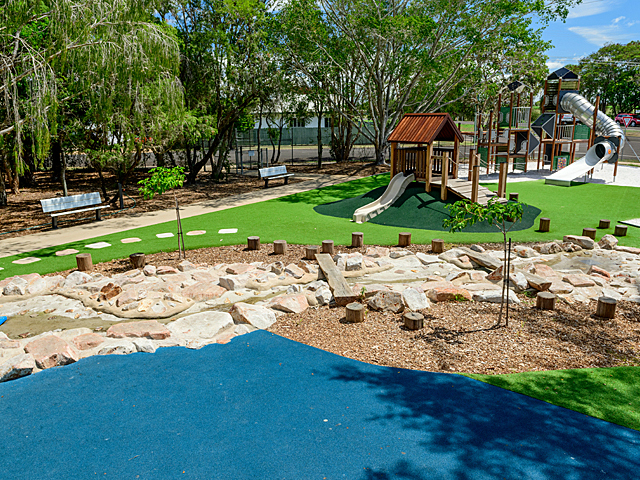 Designed in their jungle-surrounded Queensland studio and brought to life by a talented team of sculptors, artists and craftsmen, they combine a true artistic nature with film industry origins and fastidious attention to detail. 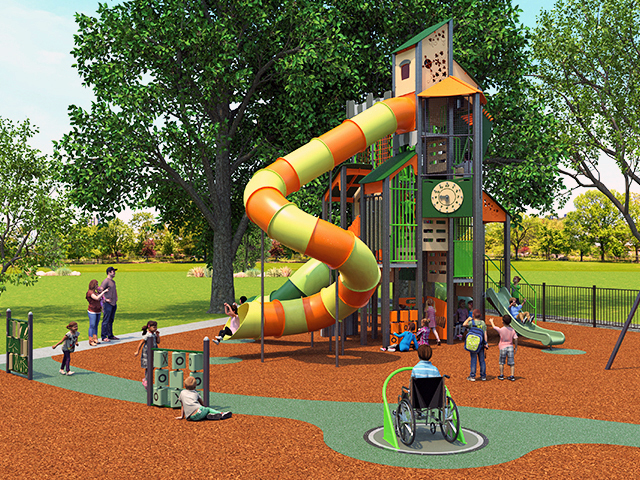 The unique concept furniture created by Art Dinouveau is the result of collaboration with designers, architects and certifiers, working to build incredible play environments that enhance green spaces in both domestic and public environments. 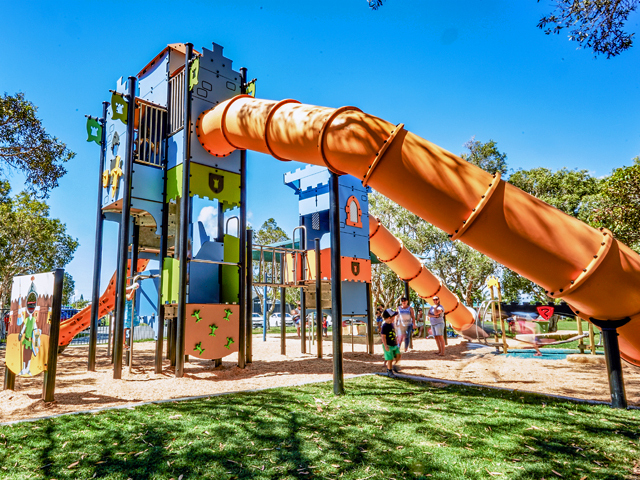 They create magical, industry-compliant play structures that transform any space into a wonderland, fostering a love of nature and facilitating imaginative play in children from toddler to school-age. The newest masterpiece from Art Dinouveau is their Mushroom Playhouse. 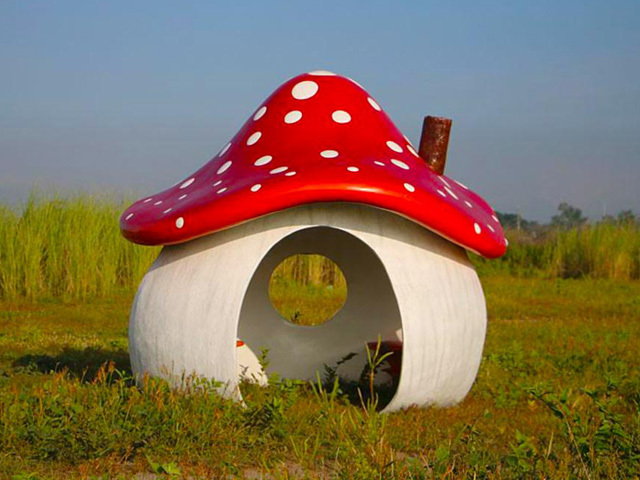 Part of their Art-For-Play range, the Mushroom Playhouse is a colourful and iconic addition to any playspace. Modelled on giant red toadstools, the playhouse is excellent for reading and quiet play – and matches perfectly with the rest of the Art Dinouveau Toadstool range. 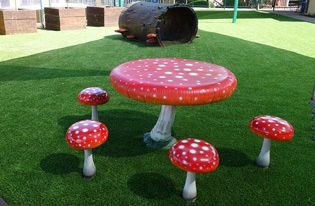 The oversized Toadstool Table and Chairs are a favourite with kids, and fits snugly inside the Mushroom Playhouse. The stools can even be used as steppers for kids to hop from one to another. 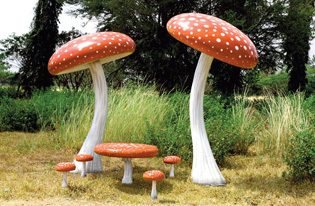 They can be painted as red and white toadstools, or in a natural beige spotted finish like a traditional mushroom. 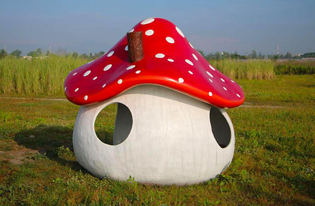 The Giant Toadstool sculpture range creates a magical sense of wonder for children in any play environment. 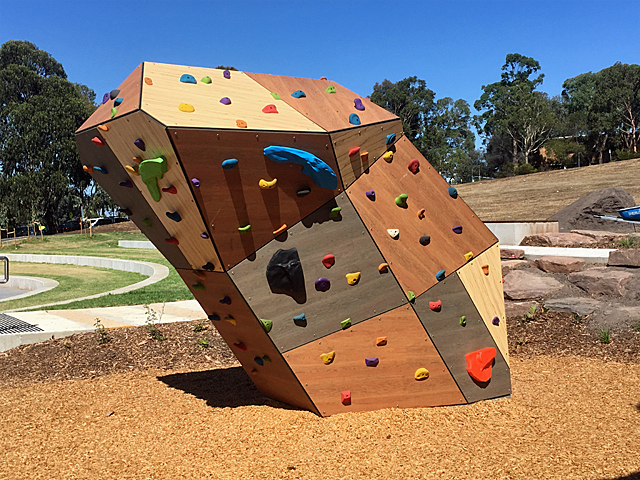 They can be made up to 2.5m high and will provide some shade when used in an exterior playspace. 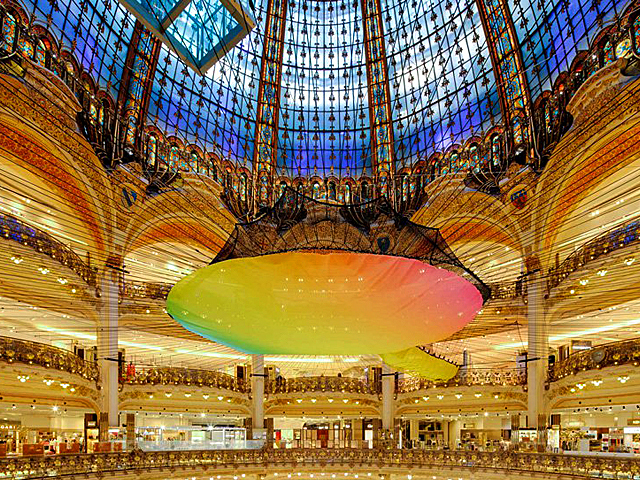 They can also be fitted with twinkling fibreoptics for use in indoor playspaces and retail environments. When used in sets of two at different heights, the toadstools create a delightful and impressive entry archway, and complement the Mushroom Playhouse and Toadstool Table and Chairs. 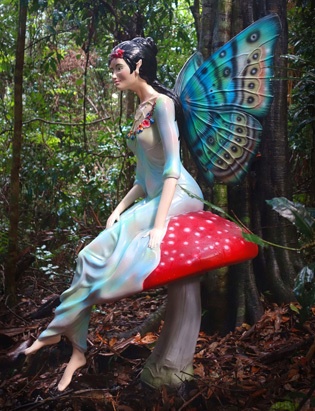 There is even a Fairy on a Mushroom sculpture that fits perfectly into the toadstool garden. All Art Dinouveau pieces are made using heavy-duty fibreglass and finished in polyurethane paint, with a protective graffiti-proof varnish. Their products are designed and built to withstand years of use in outdoor conditions. All Art Dinouveau products can be shipped worldwide.